Hospitals are constantly evolving to improve patient outcomes, yet a key piece of equipment that is ubiquitous, although never intended for use in the hospital, has gone unaltered since it was patented in 1933. Michael Graves and Stryker undertook a research project to establish a new standard for seated patient transport in the hospital. Research discoveries turned into solutions to problems that transcend pushing patients in wheelchairs. 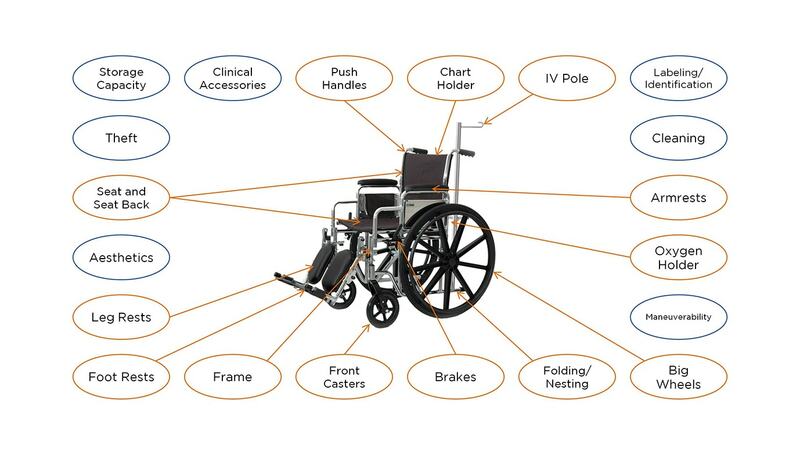 By observing countless escorts transporting patients throughout hospitals in North America and in Europe, we learned that traditional x-frame wheelchairs contribute to patient falls, create back pain for caregivers, facilitate unwanted spread of infection, and are stolen from hospitals. These data points encouraged Stryker to purse a value added device that would transform hospital expectations.